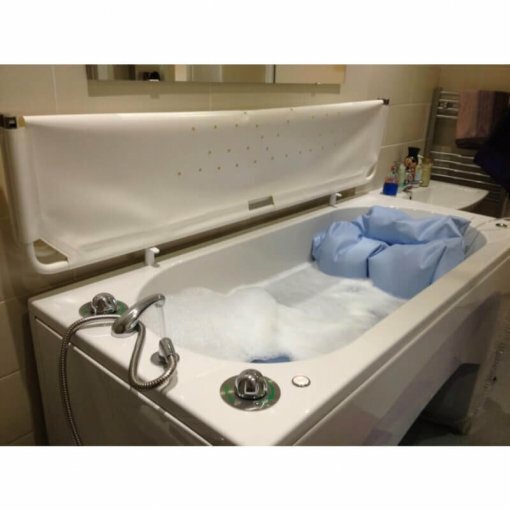 Internal mouldable bath cushions and supports are a simple and cost effective way to transform the bathing experience for disabled users and their carers. 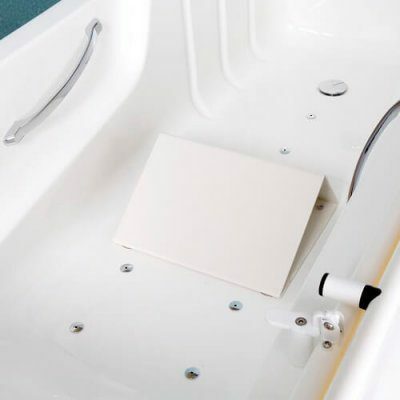 One of the most complete cushion solutions available on the market is the vacuum body support cushion by Astor-Bannerman, which is made from a waterproof vinyl material filled with small polystyrene beads and fit inside any standard or assisted bath. These body support cushions are secured to the bath with strong suckers and have a hand vacuum pump attached which, once the bather is in position, is used to remove the air creating a firm, flexible and comfortable supportive base. 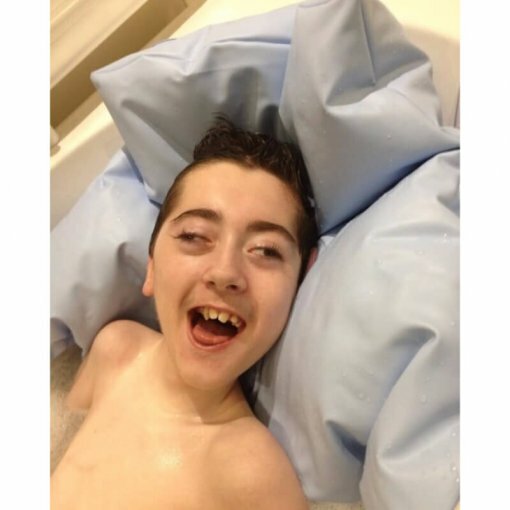 Internal mouldable bath cushions and supports are a simple and cost effective way to transform the bathing experience for disabled users and their carers. 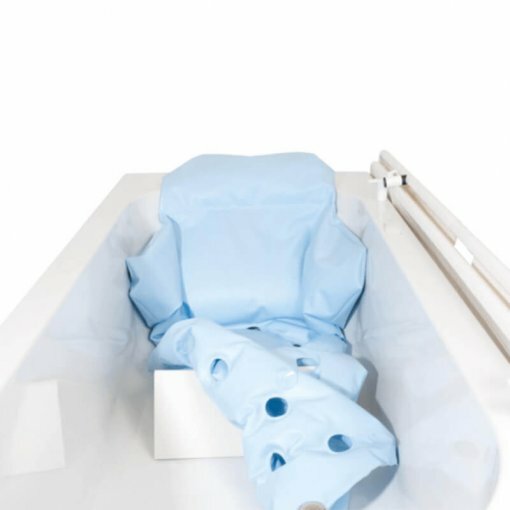 One of the most complete cushion solutions available on the market is the vacuum body support cushion by Astor-Bannerman, which is made from a waterproof vinyl material filled with small polystyrene beads and fit inside any standard or assisted bath. 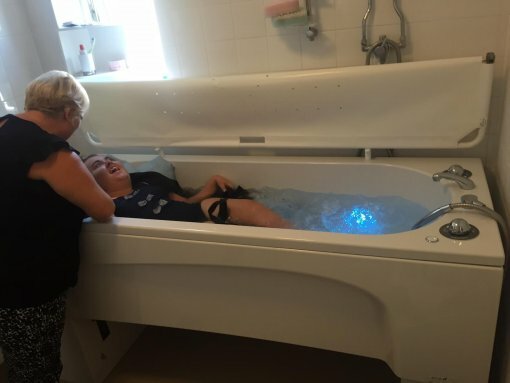 These body support cushions are secured to the bath with strong suckers and have a hand vacuum pump attached which, once the bather is in position, is used to remove the air creating a firm, flexible and comfortable supportive base. 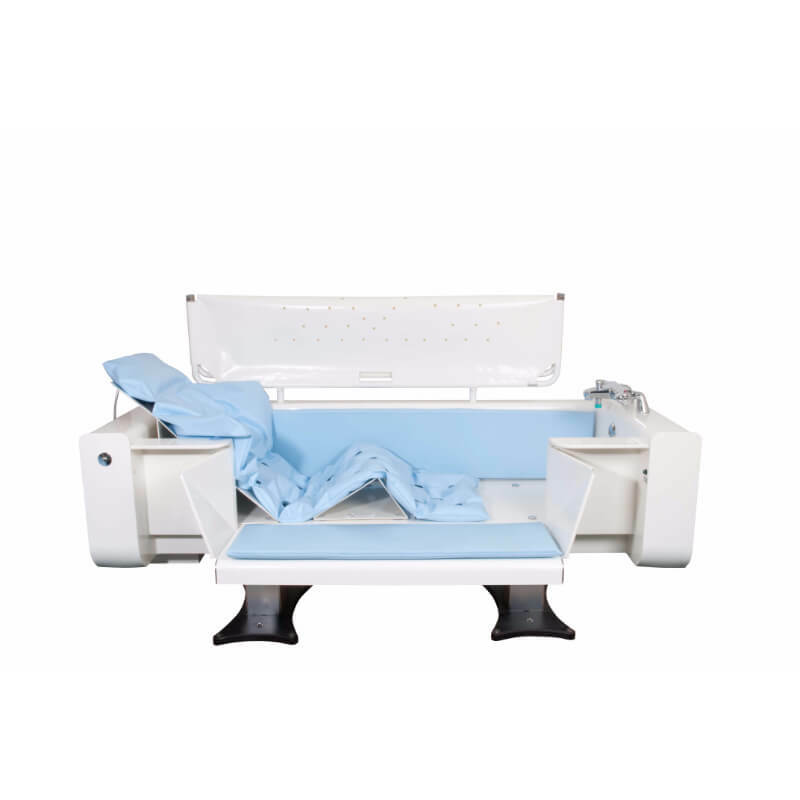 When used in conjunction with Astor-Bannerman internal knee supports, this bathing cushion offers optimum stability which is especially good for some conditions and disabilities where precise positioning is crucial. 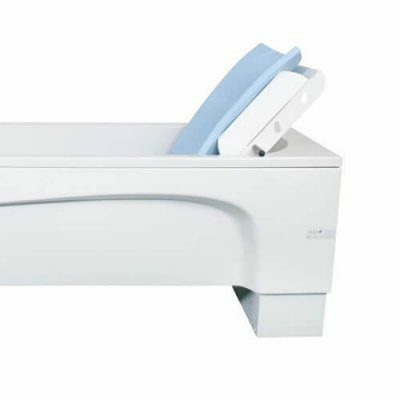 As innovators within the paediatric bathing, moving and handling market, the research and development team at Astor-Bannerman pride ourselves on being able to offer product flexibility wherever possible and one of our most recent developments is to our adult and child body support bathing cushions which measure 1200mm and 1800mm in length (BSW120 and BSW180). 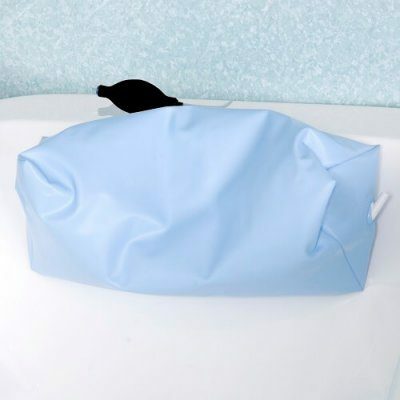 Unlike many other UK disability bathing cushion manufacturers, here at Astor-Bannerman we make every single full body vacuum support cushion with 2 layers of waterproof vinyl material instead of the standard 1 meaning they are extremely robust when used correctly. Consumer feedback has allowed us to develop this product so it is now one of the best quality disability bathing cushions on the market today! With every single cushion we deliver, we also provide a warranty document and user guide with comprehensive instructions to follow in order to maintain the cushion lifespan. We are also happy to personally demonstrate these support cushions to you and, once purchased, we can visit to show you or your team how to correctly use and care for your new bathing cushion. All of this is our standard Astor-Bannerman offering which sets us apart from other suppliers. We want to ensure that you have the right equipment and know how to get the most from it. Along with our 1200mm and 1800mm BSW Body Support Cushions, at Astor-Bannerman we also supply smaller head supports for precise positioning and comfort and additional internal supports and knee blocks.